The World Maritime University has launched a new Postgraduate Diploma program on Maritime Energy via distance learning. The new program is designed to take a holistic approach from ships to ports and shipyards, combining technical solutions with a socio-economic-environmental perspective.“The 2015 Paris Agreement and new IMO greenhouse gas emissions (GHG) Strategy require a significant reduction in GHG to be achieved over the coming decades, reaching zero emissions of CO2 before the end of this century,” said Dr Cleopatra Doumbia-Henry, WMU’s President. BIMCO to IMO: "Use Real Data"
BIMCO, the largest of the international shipping associations representing shipowners, has proposed that the Fourth International Maritime Organization (IMO) Greenhouse Gas Study does not include unrealistically high gross domestic product (GDP) growth projections to predict future transport demand - and thereby emissions - of the shipping industry.“It is imperative that the industry – and the world – base discussions and actions to reduce emissions from shipping on credible and realistic projections. The International Maritime Organization (IMO) has launched a new logo for its Women in Maritime programme, as part of its mission to support the United Nations Sustainable Development Goal 5: Achieve gender equality and empower all women and girls.Programme lead Helen Buni said: "The IMO Women in Maritime programme supports the participation of women in both shore-based and sea-going posts, under the slogan Training-Visibility-Recognition’, through a wide range of gender-specific activities. The second annual global Maritime Training Insights Database (MarTID) survey examines the impact of the autonomy trend in maritime operations on the training of future seafarers, and is officially open.The MarTID 2019 SurveyTo facilitate a broader response, this year the MarTID steering group opted to both shorten the survey and to offer three, targeted versions: one for vessel operators, one for training institutions and one for seafarers.What is MarTID?MarTID is a noncommercial, joint initiative of the World Maritime University, Marine Learning Systems and New Wave Media. 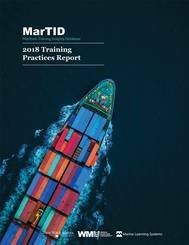 The second annual global Maritime Training Insights Database (MarTID) survey examines the impact of the autonomy trend in maritime operations on the training of future ‘seafarers,’ and as of November 26, 2018, the survey is officially ‘open’ for a period of approximately six weeks.The MarTID 2019 SurveyTo facilitate a broader response, this year the MarTID steering group opted to both shorten the survey and to offer three, targeted versions: one for vessel operators, one for training institutions and one for seafarers. While the technology to facilitate autonomous shipping matures, many questions remain, led by the size, shape and role of the Future Mariner. The MarTID 2019 Survey aims to shed some light.The Maritime Training Insights Database steering group has announced the upcoming launch of the 2019 MarTID survey, which this year focuses on the trend toward autonomous vessel operations and its impact on training current and future mariners. MarTID is a non-commercial, joint initiative of the World Maritime University, Marine Learning Systems and New Wave Media. 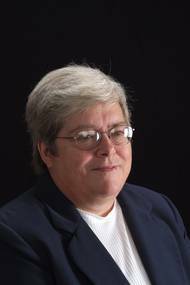 Kathy Metcalf, CEO of the Chamber of Shipping of America, was honored as the 2018 WISTA International Personality of the Year.New WISTA BoardWomen's International Shipping and Trading Association (WISTA) elected Connie Roozen, Director of C&B More (WISTA the Netherlands) as Treasurer and Angie Hartmann, Vice President Crew Affairs, Starbulk S.A. (WISTA Hellas) as Board Member, to the WISTA International Executive Committee at their 38th International Annual General Meeting in TromsØ, Norway on October 24, 2018. "Empowering Women in the Maritime Community" has been selected as the World Maritime Day theme for 2019. This will provide an opportunity to raise awareness of the importance of gender equality, in line with the United Nations' Sustainable Development Goals (SDGs), and to highlight the important contribution of women all over the world to the maritime sector. The Council of the International Maritime Organization (IMO), meeting for its 120th session at IMO Headquarters in London, endorsed the theme, following a proposal by IMO Secretary-General Kitack Lim. Alongside the 70th anniversary of the International Maritime Organization (IMO), in 2018, the World Maritime University (WMU) is celebrating 35 years. WMU has made a major contribution to global maritime education, research and capacity building. 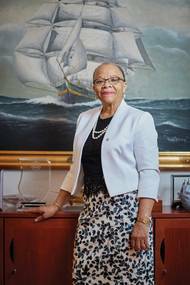 In this respect its legacy has been transformative with its extensive network of leaders in the maritime and ocean sectors, with 4,654 WMU alumni from 167 countries to date. In the early 1980s, the IMO identified a shortage of well-qualified, highly educated maritime experts, particularly in developing countries. The National Maritime Transport Policy concept is being promoted by International Maritime Organization (IMO) as a good governance practice to guide planning, decision making and legislation in the maritime sector. It can also be a key driver for a country's sustainable development, particularly when it comes to the “blue economy”. Officials in Kenya are participating in a workshop in Kilifi, Kenya (9-11 May), to gain knowledge and understanding of the development and content of a National Maritime Transport Policy. January 31, 2018 is the deadline for the first global survey for the Maritime Training Insights Database (MarTID), giving the industry one last chance to take 20 minutes and become a part of this historic initiative. The partnership was started more than a year ago, a partnership solidified in the summer of 2017 in the office of Dr. Cleopatra Doumbia-Henry, President, World Maritime University, Malmö, Sweden, with the signing of an MoU with the World Maritime University, Marine Learning Systems and New Wave Media, publishers of Maritime Reporter & E‪ngineering News and MarineLink.com. In a coming edition of Maritime Reporter & Engineering News, we explore modern training and “blended learning” techniques with Murray Goldberg, CEO of Marine Learning Systems, maker of MarineLMS. A researcher and developer of learning management systems, Goldberg’s software has been used by millions of people and companies worldwide. Here Goldberg explains the scope and important of a historic new annual survey, The Maritime Training and Insights Database (MarTID) (www.martid.org/survey). Jamaica has reestablished its position at the heart of international maritime rule-making following its election to the International Maritime Organization's (IMO) Council. The nation was elected as a Category C Council member on December 1, and will serve until 2019. 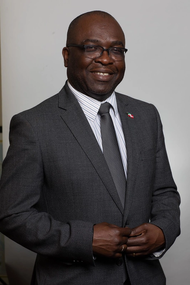 The Maritime Authority of Jamaica’s (MAJ) Director General, Rear Admiral Peter Brady previously chaired the former IMO’s Standards of Training and Watchkeeping (STW) sub-committee between 2003 and 2012, now called the Human Resource Training and Watchkeeping Sub Committee. The prestigious International Maritime Prize for 2016 has been presented to Mr. Koji Sekimizu, former Secretary General of the International Maritime Organization (IMO), for his contribution to the work of IMO over many years. 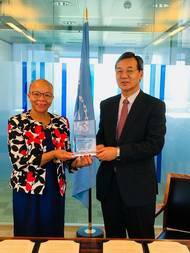 IMO Secretary-General Kitack Lim presented the prize on Monday (27 November) at the IMO awards ceremony. “Mr. Sekimizu has dedicated his career and his lifetime to promoting safety of life at sea and protecting the marine and atmospheric environment. He is truly deserving of the International Maritime Prize,” Mr. Lim said. MarTID – the Maritime Training Insights Database -- a historic initiative to study global maritime training practices -- launches today. There is broad agreement that as much as 80% of maritime accidents involve human factors causes. As such, top vessel operators and maritime training centers are pouring significant resources into creating best practice and innovative training programs. This is good. To a large degree, however, the industry as a whole, knows little about the training approaches and successes of vessel operators and training centers outside personal circles. The International Maritime Prize for 2016 will be awarded to former Secretary General of the International Maritime Organization (IMO) Koji Sekimizu for his contribution to the work of IMO over many years. The Council unanimously decided to award the Prize to Sekimizu, IMO Secretary-General Emeritus, in recognition of his invaluable contribution to the work and objectives of the organization and the international maritime community as a whole. 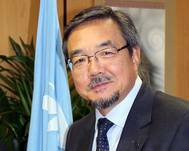 Sekimizu held a long and distinguished career with the organization, culminating in his four-year stewardship as Secretary-General from 2012 to 2016.